Portland has become one of the coolest cities over the past decade, and I’m so happy to call it home base. We moved a bit when I was growing up, and my family would always go to Portland during the summer. With all of the changing scenery, Portland was our constant. I 1000% took Portland for granted, but now I am so thankful that I can visit anytime I want. This past weekend I drove into Portland to take a few pictures on the waterfront. As I was walking around, I noticed a small sign advertising a new restaurant. It was the kind of sign that most people would walk past, and I did too. But for some reason, I stopped and did a double take. I pride myself on knowing about most restaurants, and I hadn’t heard of this one. It was halfway down a pier so I was even more curious about it. I couldn’t believe my eyes when I walked in. 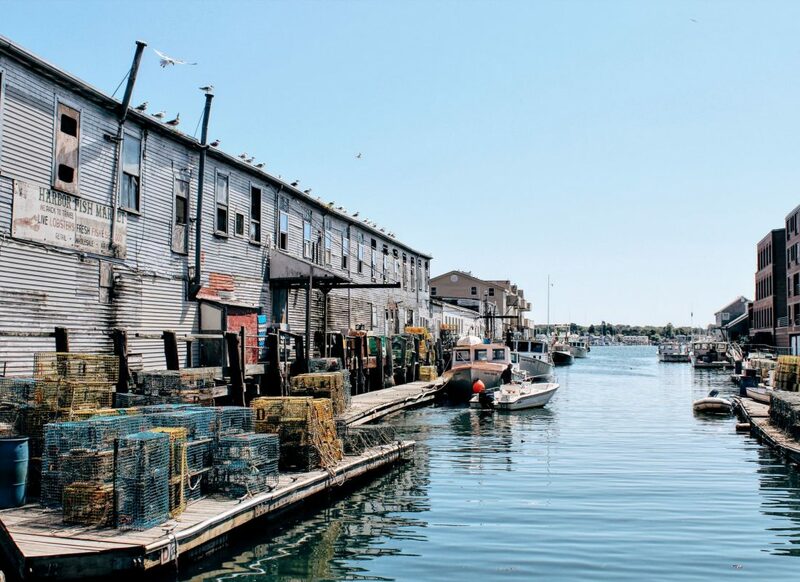 It was the most perfect New England waterfront aesthetic. Walking through the restaurant to my table had me excited, like giddy excited. I don’t know if it was the vibe of the place, or what, but I couldn’t wait to sit down. I was still in shock that I hadn’t heard of it, but come to find out, they opened in January and only started serving lunch in early July. Ok, so I guess I can’t get too down on myself. I realize at this point I still haven’t mentioned the name of the restaurant. It’s mostly because I want to keep it to myself… and so I don’t ever have to wait for a table. Ok, fine. Scales. 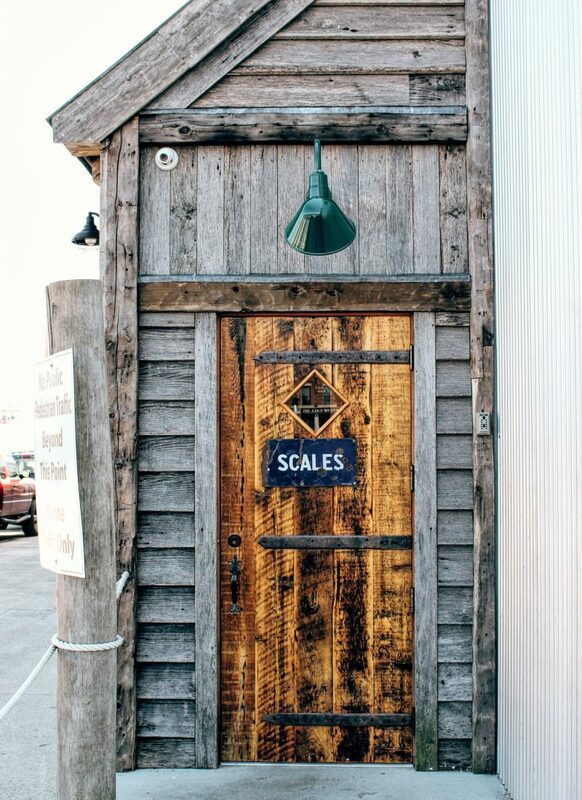 The name of the restaurant is Scales. The crew at Fore Street, Street & Co, and Standard Baking decided to open up a joint venture, and now the world has Scales. 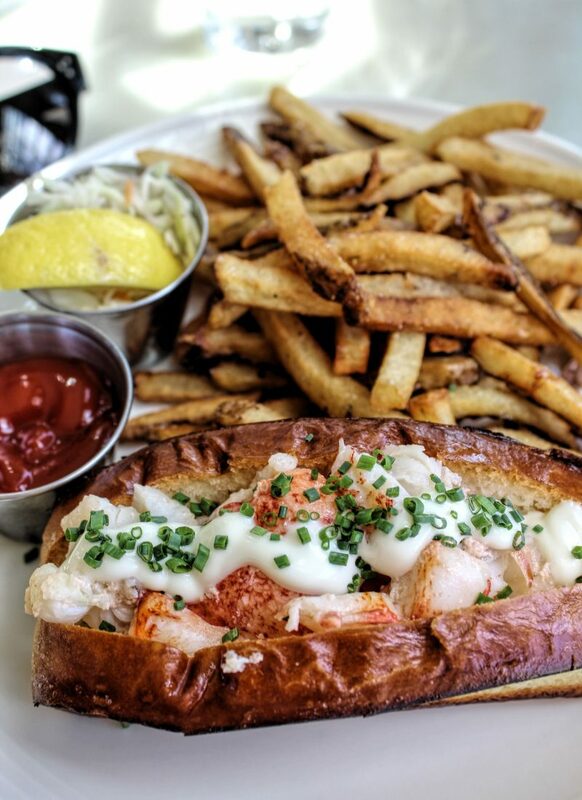 I knew what I was going to order before I even sat down – a lobster roll. And after I read the menu, I was DEFINITELY getting the lobster roll. 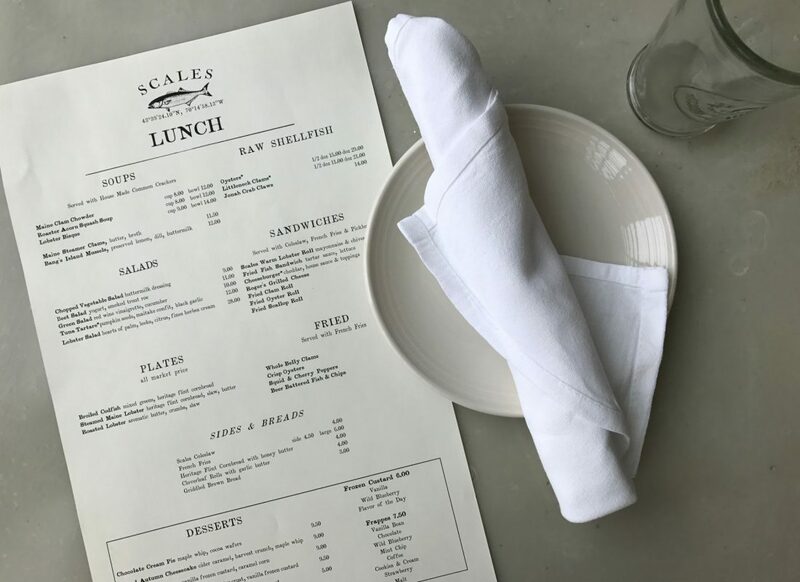 Scales serves their lobster roll warm with mayo on top. STFU, right? Right. They serve it on a homemade roll, made by their in house baking crew, with hand-cut fries. 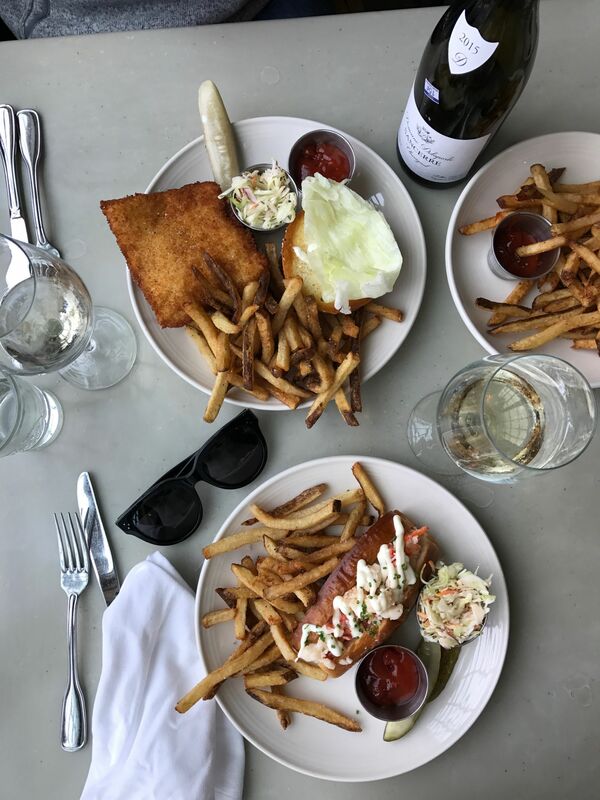 I would travel for these fries alone, but the lobster roll was out of this world. It was the perfect combo of butter and mayo – it was just so decadent. Once I managed to cut myself off from the fries, the lovely waitress suggested dessert. At first, I was not going to do it, but then she told me they had popsicles made out of Moxie blueberry soda. FINE TWIST MY ARM. 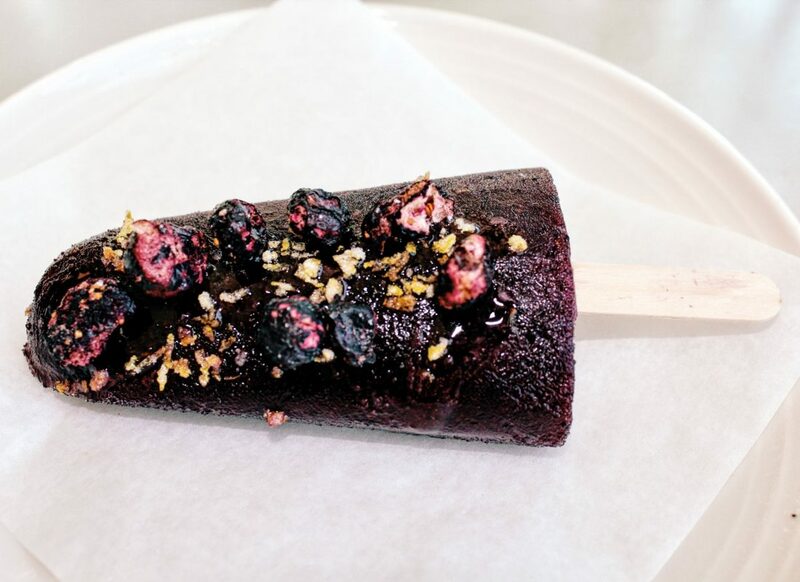 The popsicle was delicious and perfectly flavored. I don’t drink soda so I was a tad bit concerned about the flavor being too jarring, but it wasn’t. Given the option, I would get it again. I could actually go for one right now. 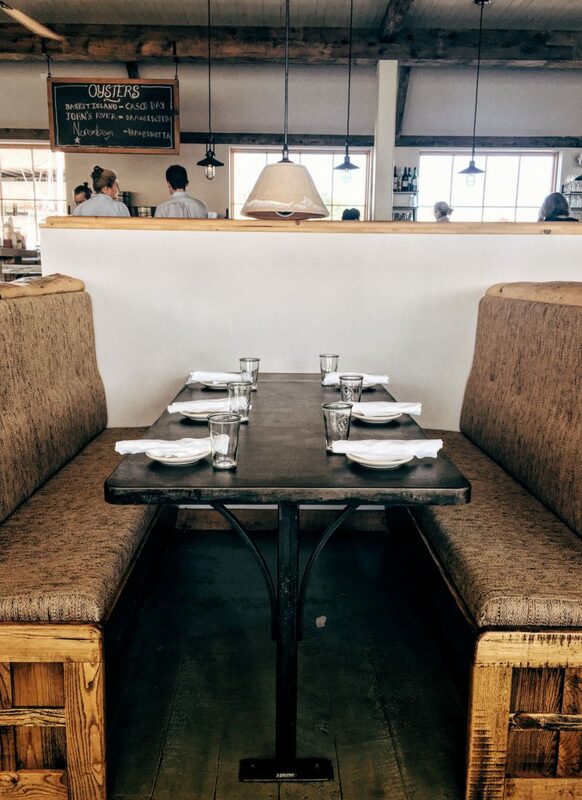 We are so glad you enjoyed your meal at Scales! 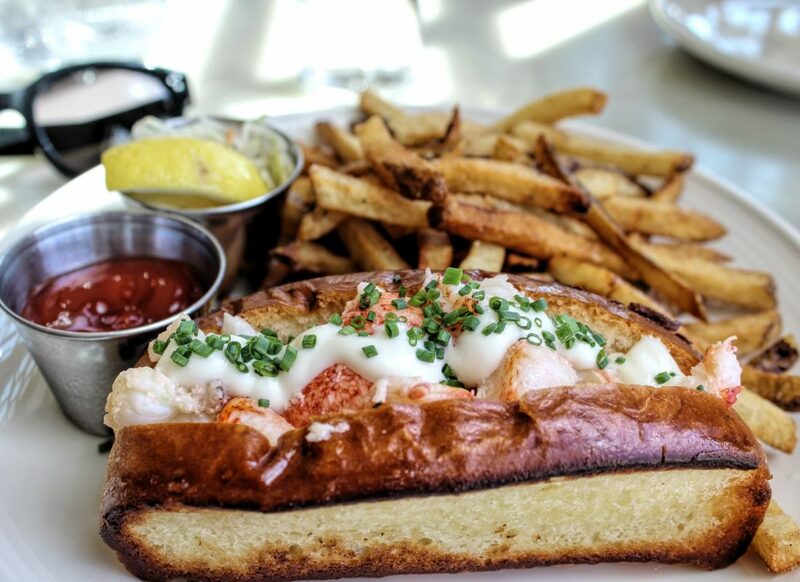 I just wanted to let you know, that wonderful fluffy lobster roll bun was made right in the Scales bakery kitchen! Yup! With a large baking staff, we make all our pastries, cornbread, New England Brown Bread, sesame sandwich buns and more in our beautiful pastry department. Thanks again for your visit! I’m such a big fan of your restaurant. I’ve been there 3 times in the last week. I corrected the info on your roll. I have to give credit where credit is due. And your team deserves all the credit. The best lobster roll I’ve ever had.